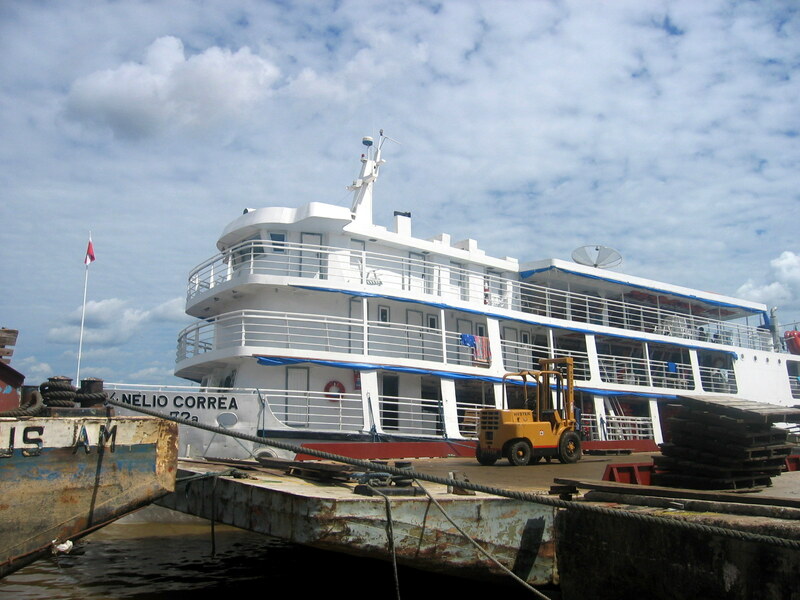 The Nelio Correa is a merchant ship that covers the route from Belem (a beautiful city on the Amazon river’s delta to the Atlantic) to Manaus (the last large city in the Amazonian rainforest). In addition to transporting all sort of cargo, the Nelio Correa admits passengers. 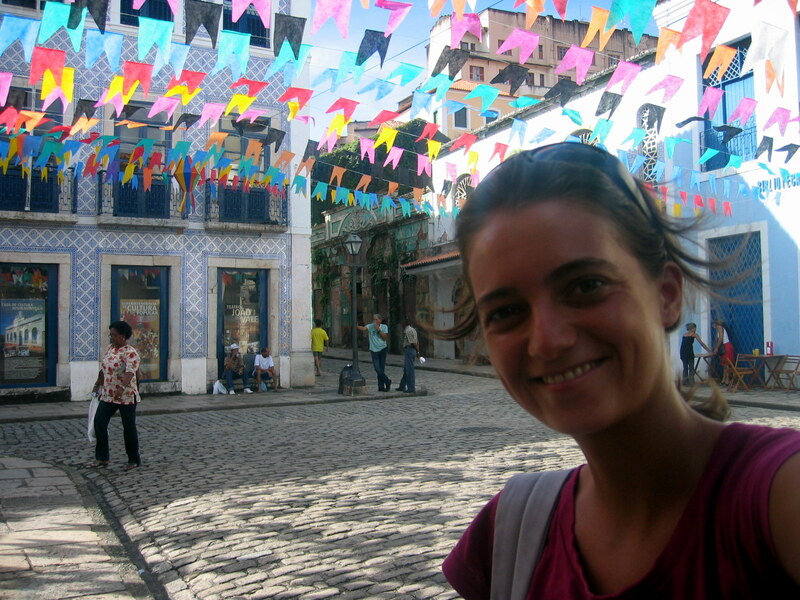 Brazilians use these types of ships because they’re much cheaper than the fast boats or planes. 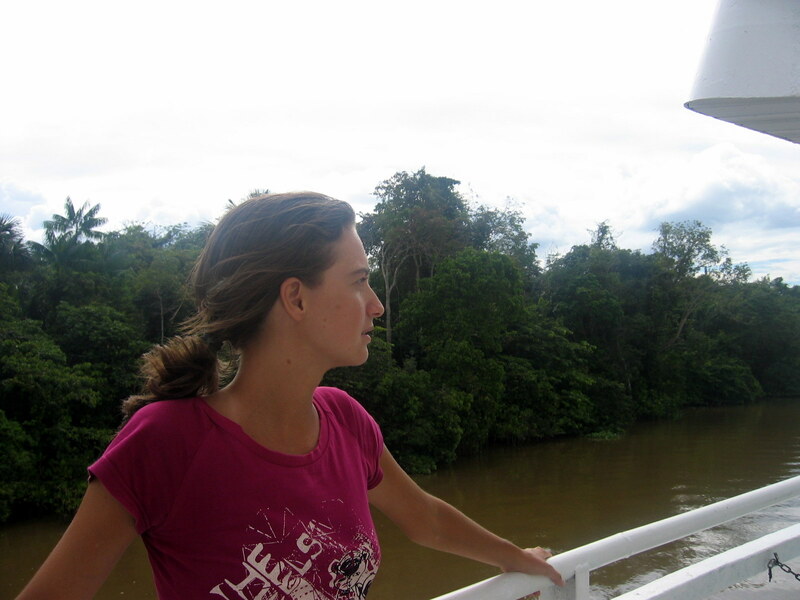 Other transportation options in the Amazon can be found on www.stmonline.com.br/lista_barcos_stm.php. On the Nelio Correa, it takes 5 days to cover the approx. 1,000 miles that separate Belem from Manaus. The basic ticket simply gives you the right to hand your hammock (a nice one can be bought in the multiple shops on the harbor, while waiting to depart) in one of the decks. When I arrived, the lower deck was already full and stinky. I went to the upper deck and met a group of Argentinians, a Mexican guy and an Australian girl. After my experience getting to Lencois Maranheses, I should have suspected from the fact that there were no locals up there. In any case, as we waited for the boat to leave, a few hours behind schedule, our deck also got crowded with hammocks. At least we were far from the bathrooms… you could imagine how this would look after 5 days. The moment the engines started, we understood why people chose to stay in the lower deck. If the noise wasn’t annoying enough, every night there was a tropical storm, and even though we were somewhat covered, we would end up completely soaked. Unbelievable that I studied 6 years of Industrial Engineering! 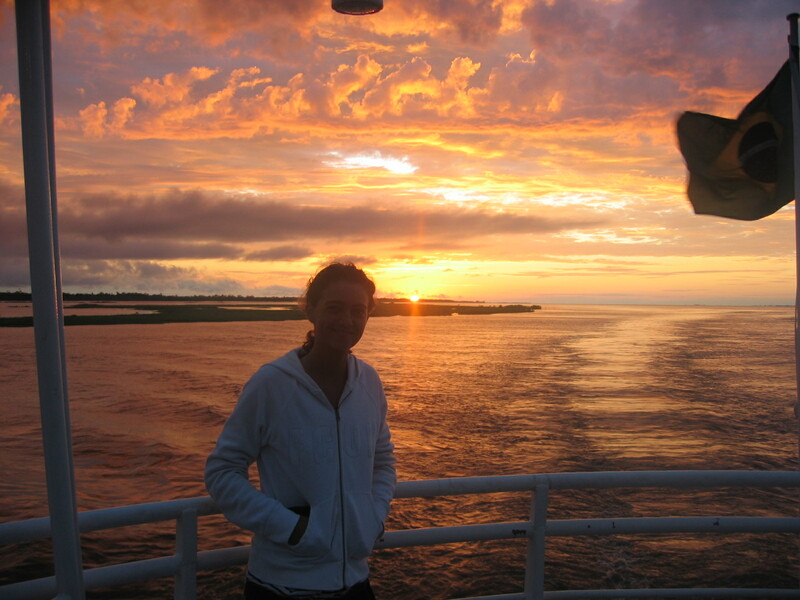 Despite all these, the trip was pleasant, it felt very authentic to share time with the locals, and seeing the sunrise and sunset over the Amazon was wonderful… Some days we would spot birds, giant butterflies or river dolphins, and at night the stars would be spectacular. My favorite part was when we passed a village and the kids would paddle from the shore in their canoes, throw hooks on the boat and climb on board to sell shrimp (at $1 per kilo! ), bananas, etc. It gave me a break from the boat diet of rice and farinha. At some point, the Nelio Correa made a long stop at Alter do Chao, so I was able to get out and explore. A short bus ride took me to a famous area that is supposed to have freshwater, white sand beaches, but the river was too high so there was no beach. I still rented a kayak and swam around, enjoying the activity after being confined on the boat for days. Anyhow, the whole trip was quite an experience, though I’m not sure I’d do it again. We arrived with 16 hours of delay and I haven’t eaten in about 20. Now I think I’m ready to enter the jungle.